A tribute is a beautiful and lasting way to honor an individual recognized for their professional, artistic, sporting and human values. At TANE we offer bespoke trophy-making services as well as our classic commemorative plaques, salvers and other silver or silver-vermeil objects that can be engraved and personalized. TANE is one of the proud sponsors of the Mexican Tennis Open. 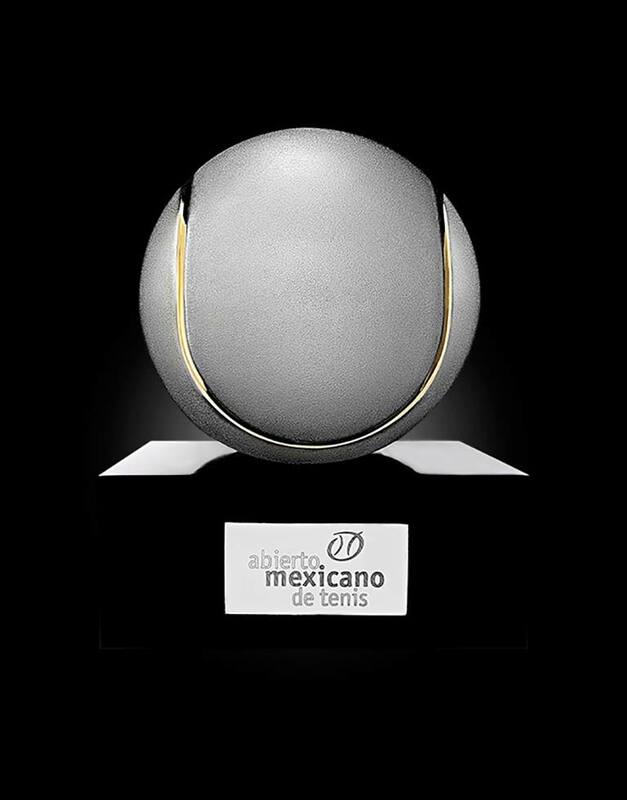 The iconic Silver Guaje has the half tennis 23k gold ball embedded and has been the emblematic trophie of the Mexican Tennis Open for the past 20 years. 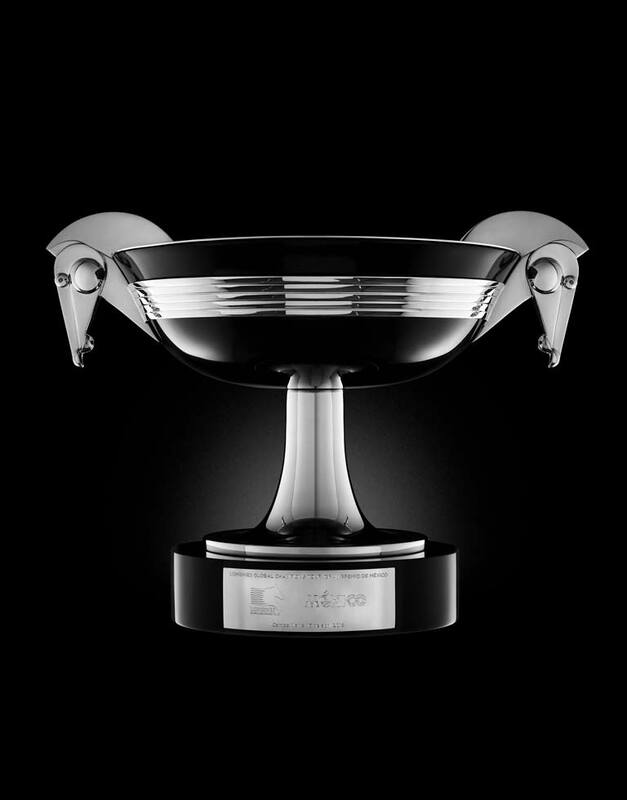 With the aim that leading players return to the Mexican Tennis Open, the organizing comittee has stated that the player who wins the tournament three consecutive times will take the Silver Guaje home. The Guaje is an object that represents de Mexican Culture. 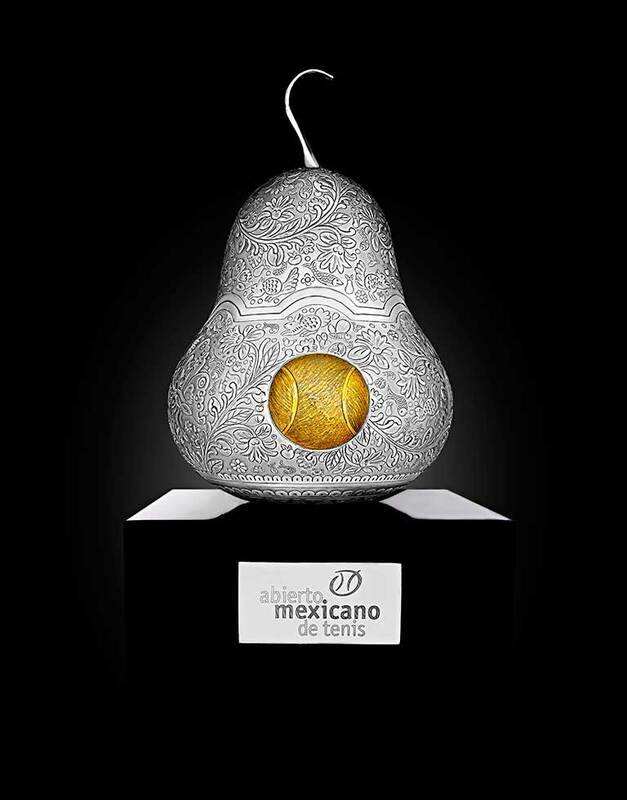 Since 2001, this tennis ball has been the trophy awarded to the Ladies Champions of the Mexican Tennis Open. This recognisable and symbolic piece has a diameter of 22 cm and is elaborated with .925 sterling silver as well as seams coated in vermeil. Definitively, this trophy evokes the elegance and agility of the game. In 2016 for the first time the Longines Global Champions Tour (LGCT) arrived to Mexico, the world’s largest equestrian circuit. TANE was selected to design and create the trophy for this event. Through its design it was intended to show the horse in an almost sacred way, inspired by classical Greek representations of this animal, adding a touch of modernity editing its form. Also, the figure of the circle was included as a reference to the sacred, the unity, the absolute and the perfection. The circular shape is present in the equestrian heads and the concentric rings surrounding the cup that emulate the jumping fences. Finally, to grant an appellation of origin to the trophy, Mexican silver and black marble are featured and concentric circles with the colors of the national flag were applied. 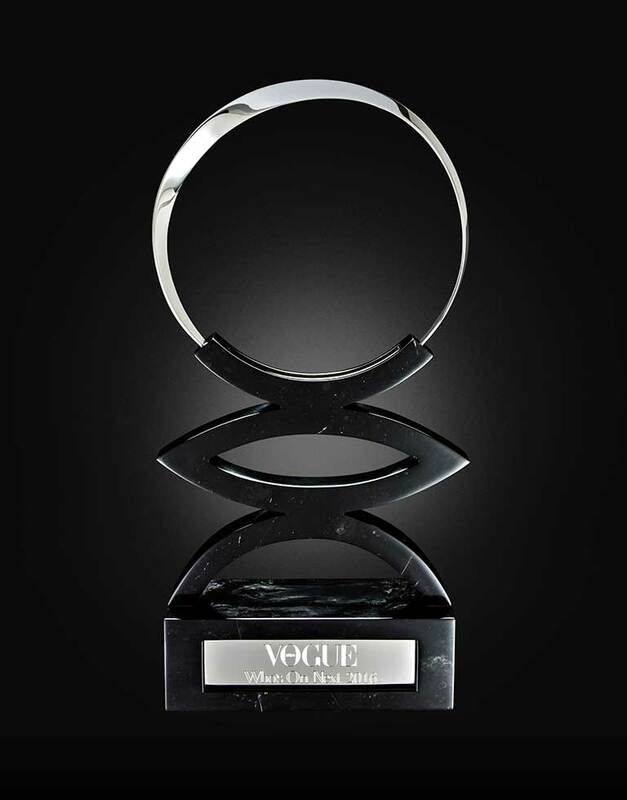 For the first time TANE presents the trophy for Vogue Who’s On Next Mexico 2016 - a sculpture of silver and marble seeking to reward the emerging talent. In the center, the trophy resembles an eye which is divided into two; the lower part is shaped in a semicircle of marble representing the horizon and symbolizing the beginning. The top part presents an imperfect circle with an elegant silver folding representing the rising sun, the emergent, the novel. This piece not only rewards and recognizes the winner of a contest, but celebrates emerging talent, ideas, ability and creativity of those who open new paths in their lives harvesting triumphs. This piece was created to commemorate the inauguration of the “Rayados Monterrey” Stadium, in August 2015. 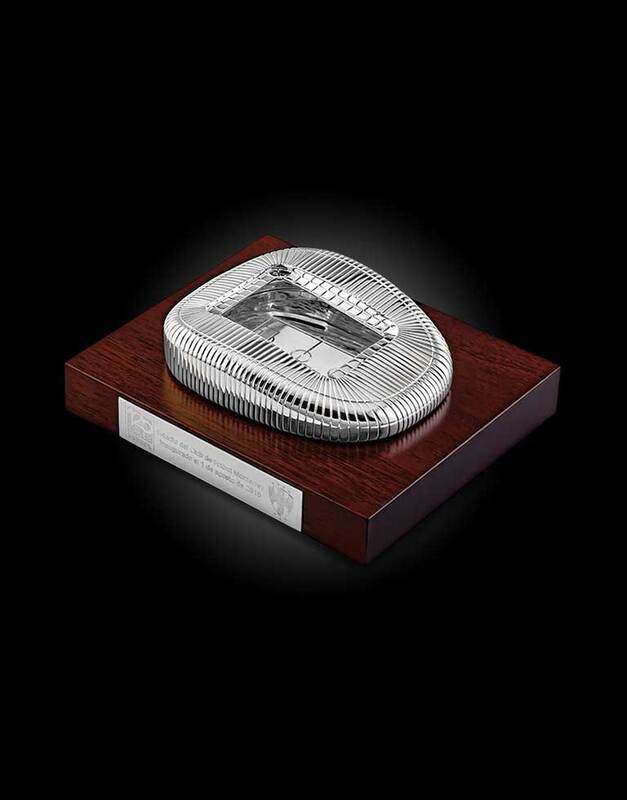 It is a small scale replica of the stadium, created in sterling silver and displayed on a wooden base. 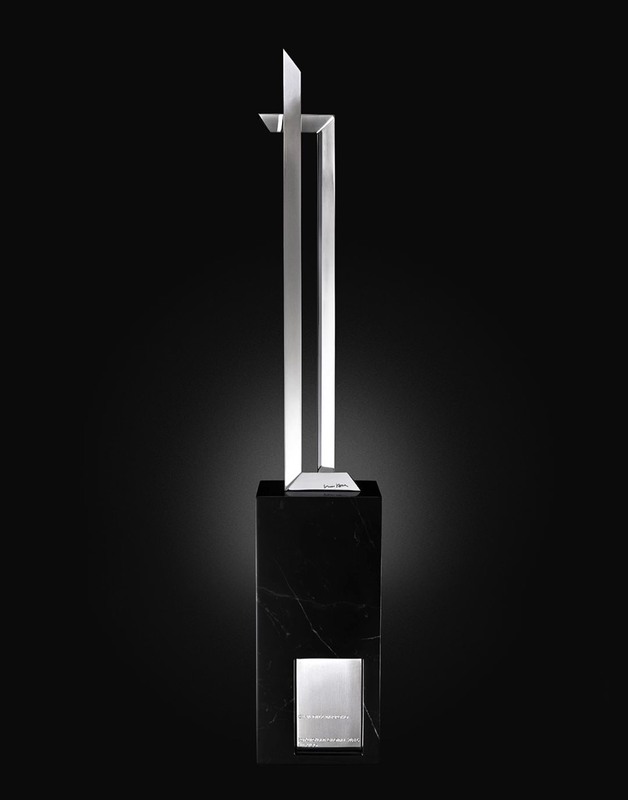 This award represents the male beauty in an abstract way. The shapes that make up this structure are elements that represent the masculine ideal, and together form a face. The combination of materials such as dark wood and silver are synomyms of the male strenght. The mixture of textures offers a new dimension that comes to life in this sculpture, the sword representing struggle and power. The inspiration comes from the work of the poet Jean Cocteau, for his creative soul and exquisite taste for male beauty, in particular for his work Orfeo. Since 2014 TANE is the sponsor of the Arte Careyes Tribute, a recognition given to the artist who has excelled in more than one discipline in his career. The first winner of this tribute was the Mexican producer and director Guillermo Arriaga. This tribute is inspired in Careyes, in some of its iconic elements and in the meaning of this tribute on its own. The silver bowl represents the Copa del Sol which is a metaphor to the cult of victory. 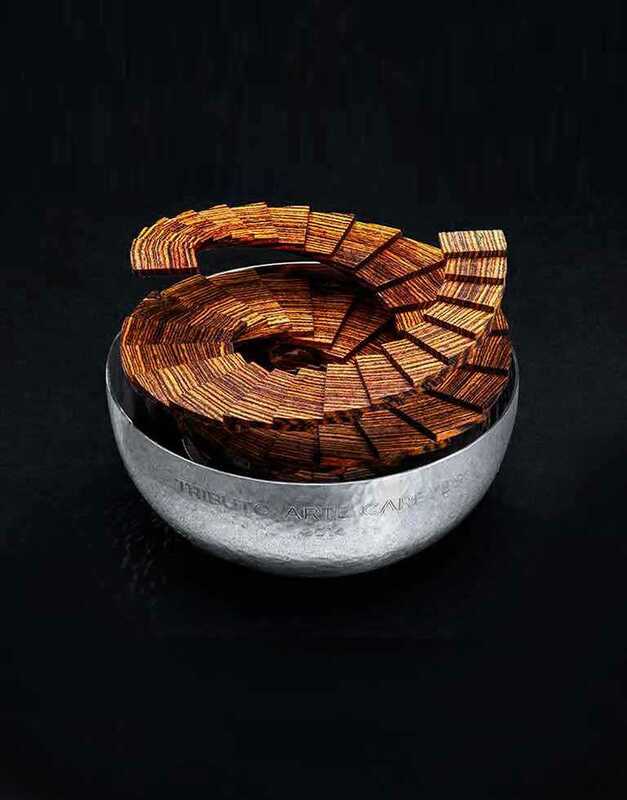 The bowl is complemented by two miniature wooden staircases that grow concentrically, resulting in a beautiful structure that exemplifies not only the two disciplines the artist has excelled, but also the ongoing effort, the constant growth and the drive to continue creating. The contrast between the highly polished silver interior and the hammered exterior texture, tells us about the intervention of the artist’s hand and how he captures his work. This sculpture, the result of the virtuous hands of TANE's silversmiths, holds a secret in its centre, and let us discover something that resembles the shape of the Nautilus, which make us reflect in man’s constant pursuit for perfection. Luxury is understood as something at the pinnacle of design and refinement; this trophy seeks to express a sensation of proud opulence. 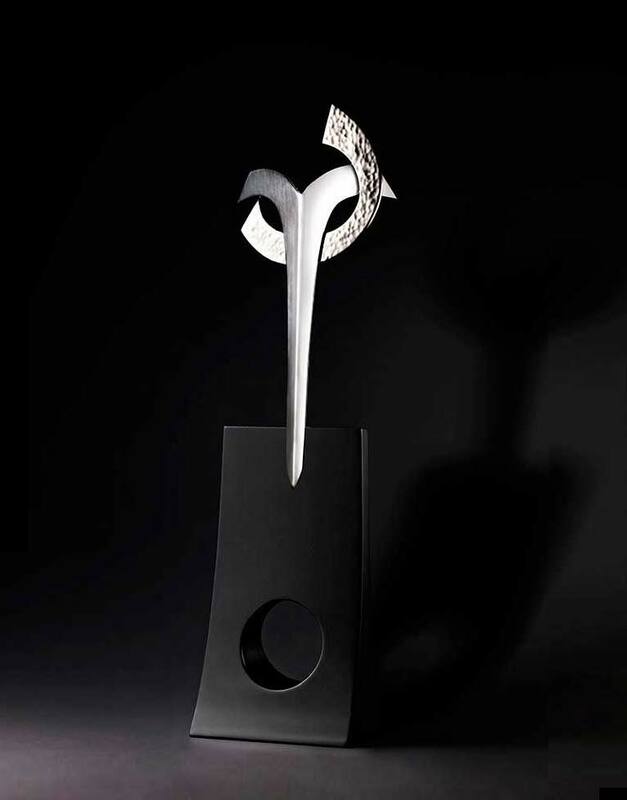 The sculpture reflects an intimate relation with a certain lavishness; an essence of luxury. Its parallel lines unified in direction and almost touching each other coincide with a phrase coined by Leonardo da Vinci: ‘Simplicity is the ultimate sophistication”. This trophy celebrates luxury as a lifestyle, as a tradition with vision of the future.